I went to Home Depot for my wood. I measured all the wood and calculated how many 2x4's that I would need, but I lost that paper, so I can't show it... And I also bought a sheet of 1/2 inch plywood for a nice surface. And I used a bunch of scrap wood in my garage. Like I did, you should take a piece of scrap osb, and put it on where the shelf is, and put a couple of screws to keep it in place. Just wanted to say I think the layout is brilliant! I'm far away from making my own (as I am renting a small appartment at the moment), but the idea of a "180 degree" workbench is great no matter what kind of work you do! Will have this in mind the day I make my own for sure! Once you cut one leg use it to measure all the rest. Or better yet set a stop so everything comes out the same. When I measure with a tape I can read the tape wrong, or just mark too heavy (long), or light (short) with it. So the less I use a tape the better off I am. If you want stuff you make to come out good you should use a steel square, and a speed square if you're cutting with a circular saw. A speed square really helps me out if I'm cutting with a circular saw. Levels can come in handy building larger pieces too. I'll always use one when I'm done, to see how well I did. Levels are handy for plumbing stuff up as I go along too. 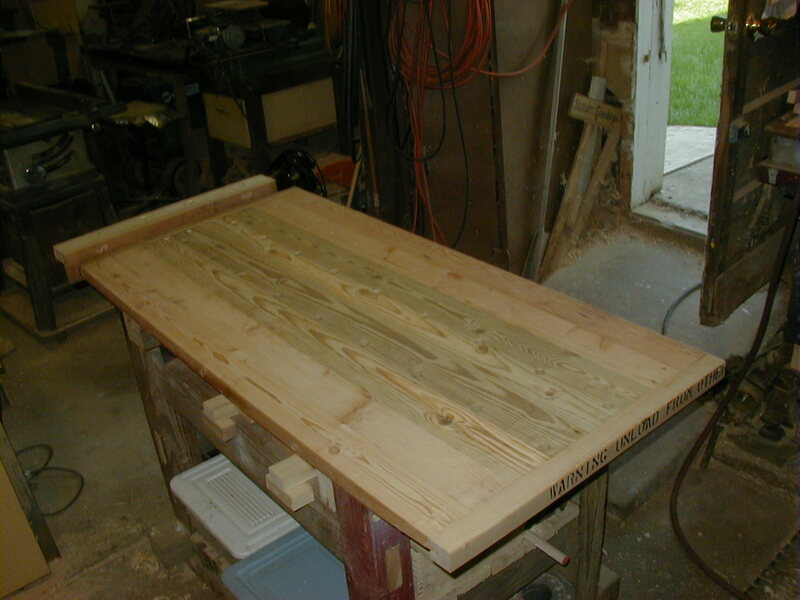 For past about 6-9 months I have been *thinking* how I should make my workbench! 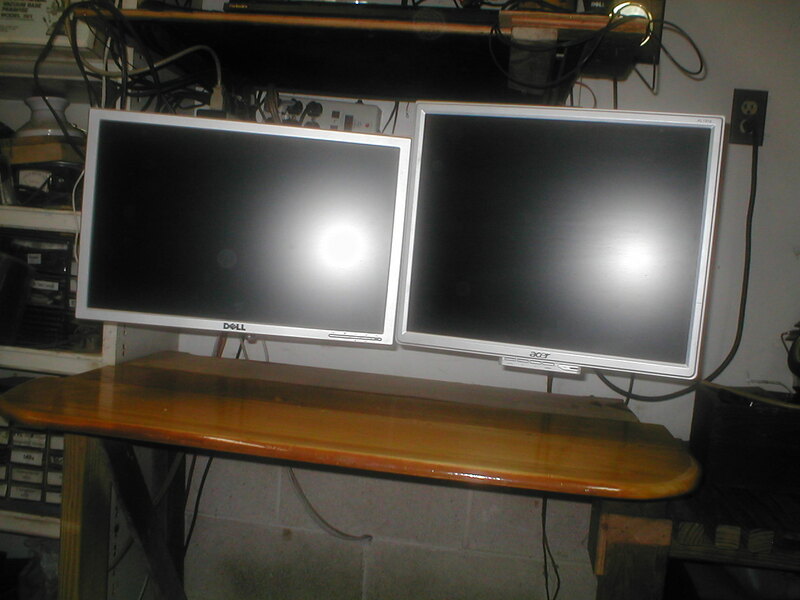 I need to put a couple of laptops, some screens, keyboards, mouse (what is the plural of mouse ;-P ? ), printer, scanner. Onfire1299, you have truly opened my eyes! 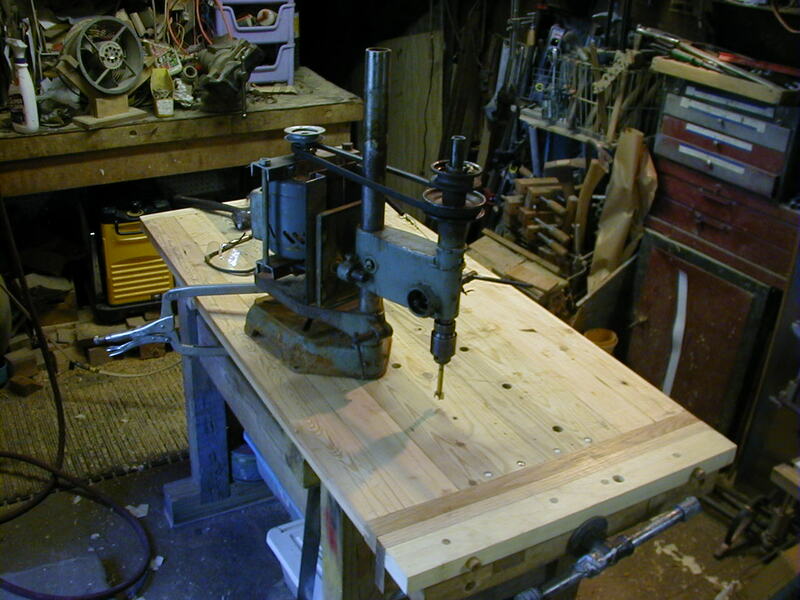 I could have made, remade, improved and by now settled on some design starting from something similar to the workbench you have posted. Functionality Rules and Evolution is the way!! Many thanks for sharing. I made the top out of a bed I found on the side of the road, and some scrap structural lumber I had lying around makes up the rest. Total cost zero. 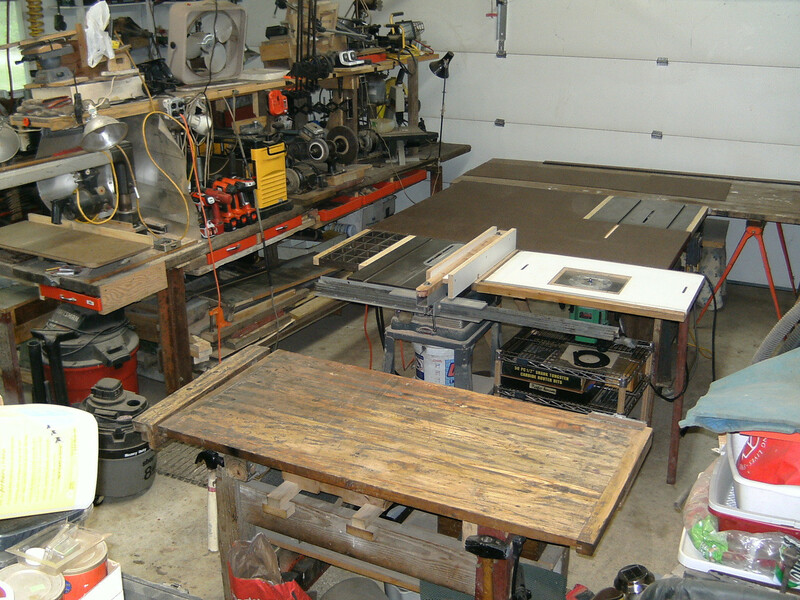 My workbench is another scrap wood project too. I made it out of wood I got doing a couple of deck demolitions, plus I found some wood in a shed. I never need anything too fancy so old used wood is usually good enough for me. That looks like a big upgrade over what you say you had. Enjoy it!